First, thanks for your interest in volunteering with the Ontario Access Coalition. The OAC is an all-volunteer organization and could not exist without your help. We depend on you. This document aims to get you up to speed, so that you can represent the OAC. If you have further questions, feel free to get in touch with your OAC mentor. enable access to outdoor climbing! share knowledge about Ontario access issues and best practices to help maintain access. partner organizations (e.g. MEC, Alpine Club of Canada). 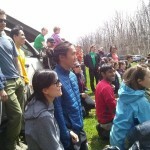 The OAC represents the climbing community. We must not forget that communication between the OAC organization and the community at large is critical. The OAC can lead by example, but always needs to stay connected to the community. 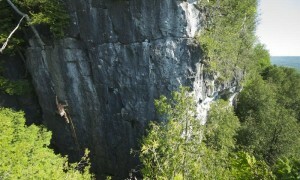 Many of Ontario’s cliffs are on land which is controlled by land managers. We have excellent relationships with many land managers, including conservation authorities. Read more about why land managers are so important later on. Land managers respond to the desires of the community at large (including those who live near the land being managed). One way to get the community on our side is by extolling the economic benefits of climbing. (This is also why we carry out our annual climbers’ survey.) Tourism organizations are looking for ways to promote their areas of responsibility, and climbing is one such way. 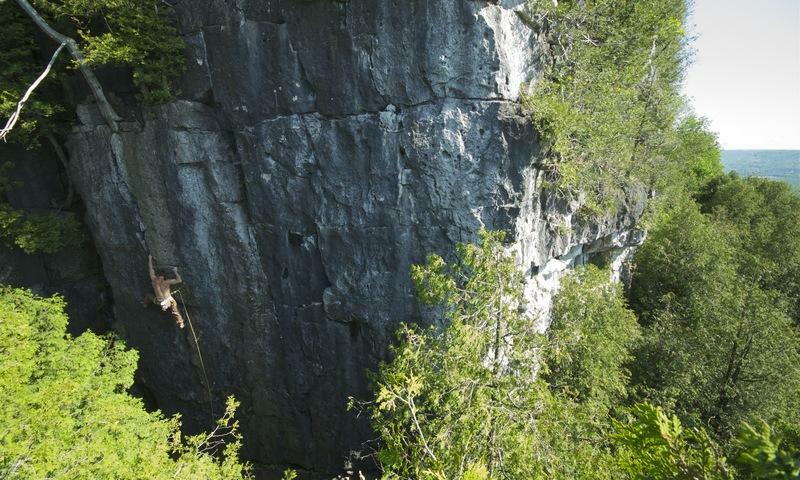 There have been ads on Toronto buses promoting Grey County climbing, for instance. It is therefore in our interest to develop good relationships with these organizations. Many other organizations support the work of the OAC because they have related goals. Mountain Equipment Co-Op is particularly notable. They were a major sponsor for the Old Baldy acquisition, and donated $100k towards that goal. They also donate money to the OAC for our operating expenses (e.g. our annual financial audit). We have a number of corporate members as well, including gyms, climbing guides, and others. 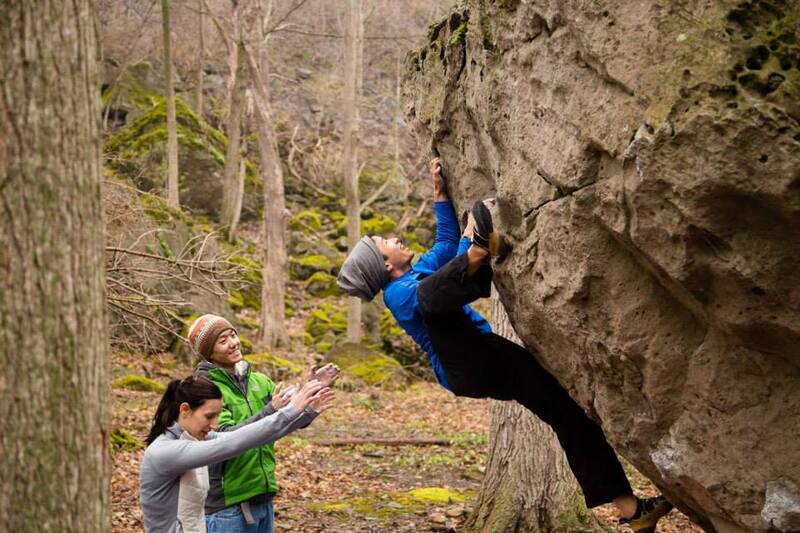 Here’s how the OAC works with the climbing community. The community sets the objectives of the OAC, and provides the workforce. The OAC provides access beta and represents the community. We encourage the community to communicate with the OAC by email (info@ontarioallianceofclimbers.ca), through our website (http://www.ontarioallianceofclimbers.ca), on Facebook, and in person at OAC visits to climbing gyms and at OAC events. So, why is it so hard to secure access to land? Securing land is key to the mission of the OAC, so it’s important for you to understand the challenges that the OAC faces in this regard. Before we can negotiate with land managers, we have to find out who to negotiate with. This can be difficult. It involves looking up land registries, for instance. Most relevant land (cliffs) are held by conservation authorities or controlled by the Ministry of Natural Resources. Once we know who is the right person to talk to, we need to convince them that climbing is an activity that they ought to allow. We’ve found a typical set of land manager concerns. It’s useful for volunteers to understand what they are. Liability: Although the Ontario Occupiers’ Liability Act [brochure] greatly reduces the liability of landowners who don’t charge access fees, land managers are still concerned with liability. 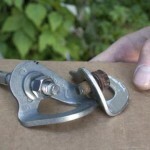 In particular, although climbers often endlessly debate whether routes should be bolted or not, it’s fairly simple for land managers: they prefer bolts. Species at Risk: Land managers need to respect the Ontario Species at Risk Act. In fact, unlike many other similar acts elsewhere, Ontario’s act makes (for instance) park staff personally liable for violations. Species at risk sometimes show up on cliffs. 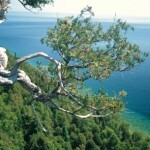 Environmental concerns: While cedars are not at risk, good stewardship involves preserving our ancient cedars. 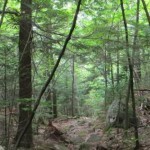 Access trails are also a concern. One single approach trail to a cliff is best, rather than trail braiding, where many trails cause dispersed impact to the ecosystem. Two of the OAC’s major access sends are Old Baldy (2014) and Halfway Log Dump (2010). We also successfully collaborate with other land managers. In 2014, we learned that climbing access to Old Baldy was threatened. While the cliff itself is on Grey Sauble Conservation Authority land, the trail from the parking lot to the cliff, as well as the base of the cliff, were on private land that was for sale. The OAC led a fundraising campaign and successfully collected enough money for the GSCA to purchase the land in question. The GSCA has agreed in principle to make Old Baldy perpetually available for climbing and we are formalizing that agreement. This project pulled together many stakeholders. The main actors were the OAC and the GSCA. 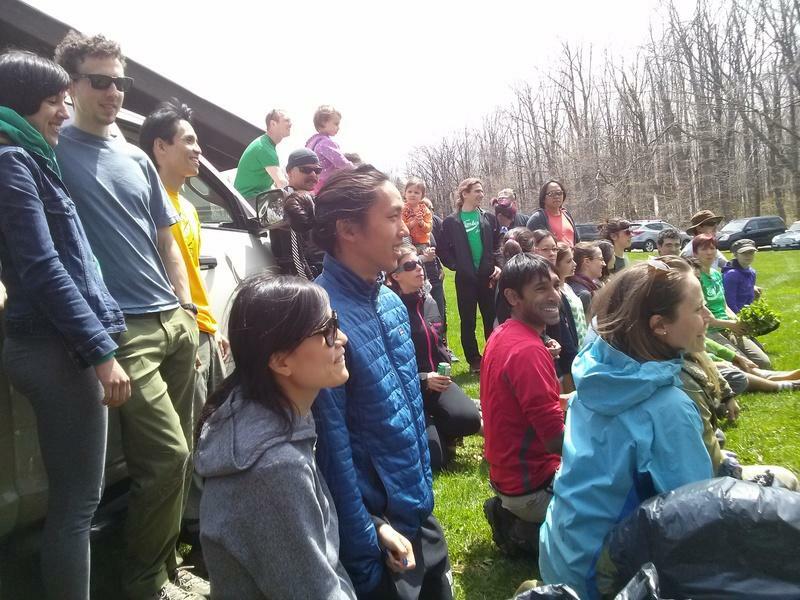 We also received significant funding from Mountain Equipment Co-Op, as well as the Bruce Trail Conservancy, ACC National and ACC Toronto Section, ontarioclimbing.com, and the Nature League. Funds collected from the climbing community helped make the case that this was a cause that organizations would do well to support. 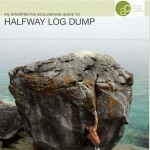 Starting in 2002, boulderers found their way to Halfway Log Dump. 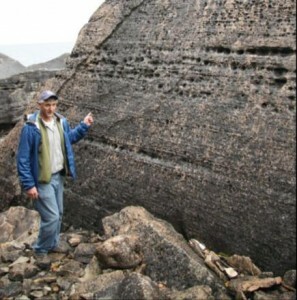 The area was closed in 2003 due to environmental impact caused by boulderers. This impact was not intrinsic to bouldering and the OAC successfully negotiated the re-opening of Halfway Log Dump in 2010 with Parks Canada. education and promotion of Park goals with climbers. 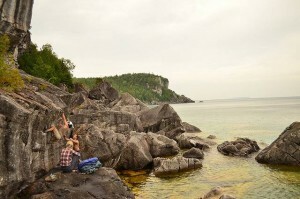 The Ontario Access Coalition (OAC) has worked closely with us to reopen bouldering at Halfway Log Dump in Bruce Peninsula National Park. Using the “Recreational Activity Assessment Process”, together we developed a plan that has resulted in a great bouldering opportunity for the climbing community, and helps meet our national park objectives to provide memorable experiences that support the protection of the park. The OAC have been responsive and accommodating. They are ambassadors for the sport and for the national park. We look forward to our continued partnership. There are three priorities that we are particularly looking for volunteer help with: community outreach, tourism organization outreach, and event organization. 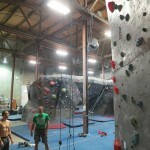 Community Outreach: Climbing gyms are a key meeting point for the climbing community. We’d like to continue having a presence at gym nights, comps (such as Tour de Bloc), etc. Volunteers power our presence at these events. Tourism Organizations: Tourism organizations are key to building support in the non-climber community. We are looking for volunteers to help establish links with these organizations. 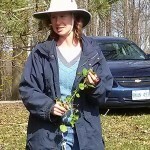 Event Organization: The OAC runs events such as the annual Earth Day event where, in partnership with Conservation Halton, we remove invasive species. These events require volunteers to help organize, and we’re grateful for any help that you can provide. We can’t exist without you, our volunteers. Again, thank you for your continued support. For more information, see the OAC Volunteer Information Sheet.